"A truly refreshing sound with three great players." "After having played with ON 3 on several occasions I can attest to their unique concept, originality and communicative abilities... great tunes and great playing!" "Guess What? One of the best kept secrets is a secret no more. 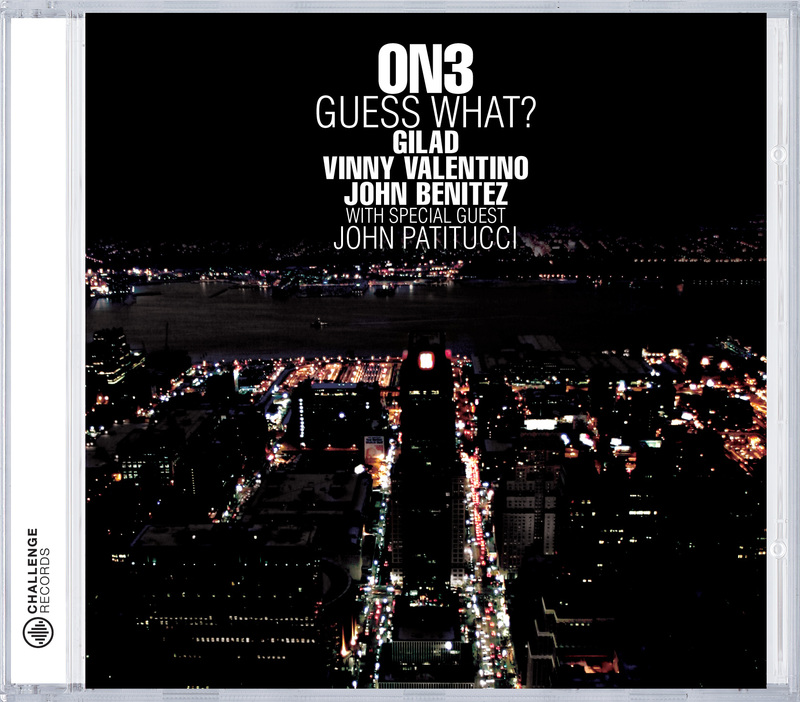 Vinny Valentino and ON 3 have finally allowed the world to hear what I've been hearing for quite a few years now. His accomplishments as a guitarist are highly evident on his latest effort with the trio On 3. The trio exhibits great musicianship and the compositions are superb. This fresh musical approach is worth a listen by any lover of creative music." "On 3's new recording 'Guess What?' Is a very captivating musical tapestry. The bond between these 3 musicians is genuinely heard in their music. I'm especially inspired by the rhythmically complex yet accessible compositions of percussionist, Gilad Dobrecky. I look forward to hearing them live"
"Valentino does it all. He's modern and eclectic, but also distinctive and well-rooted." "With a perfection that any of our musicians of any generation would envy, they came out on stage, picked up their instruments, and in a matter of seconds the whole audience was infected by the melodies and rhythms of one of the greatest musical and social contributions of the United States to the world: jazz. ."